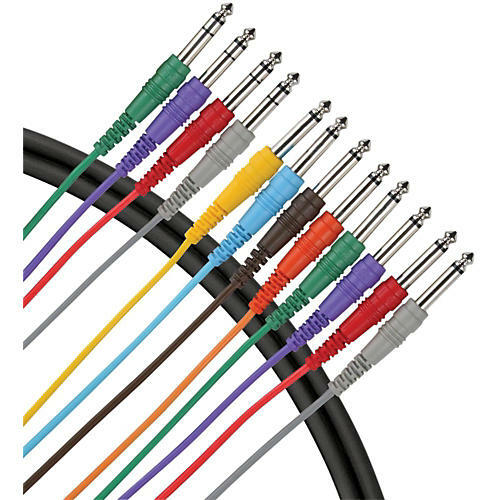 4-channel insert snake, 4 - 1/4" TRS males to 8 - 1/4" TS males. Interfaces with 1/4" phone-equipped outboard gear. Molded connector covers. Labeled and color coded.